We are especially proud to bring you the U.S. Army Officers Saber. 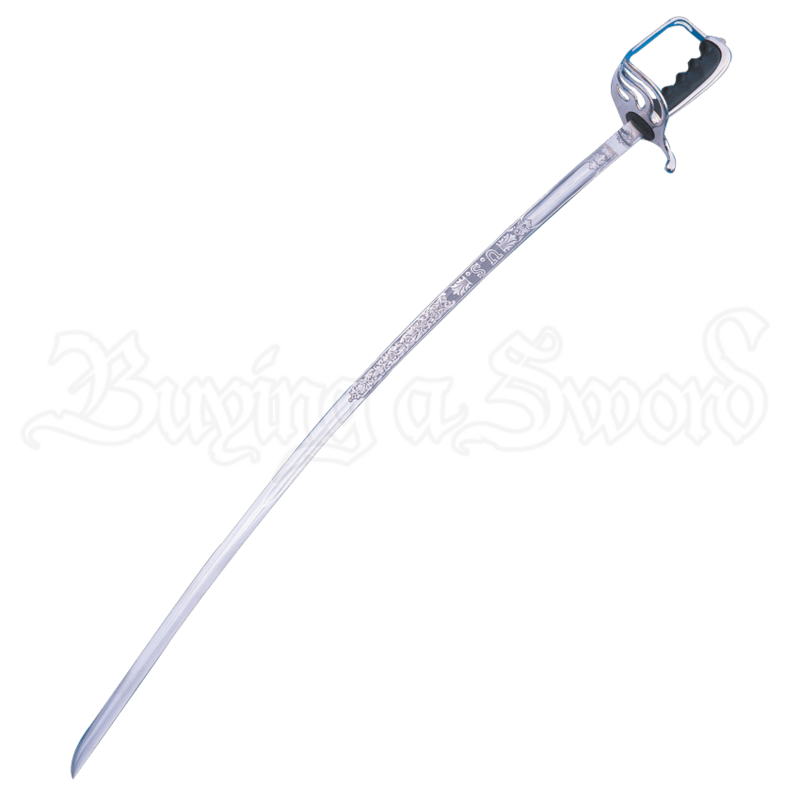 Each fine saber and sword is manufactured according to exacting government specifications and made available in four different blade lengths. All blades are high polished stainless steel, detailed and appropriately etched. We guarantee that your military personnel, drill teams, students, graduates, and customers will be completely satisfied with these sabers and swords. Please specify blade length 28, 30, 32, or 34 inches. Each sword includes the government scabbard.